Wish has been appointed by York veterinary products company Animalcare to launch a new range of ear care treatments. 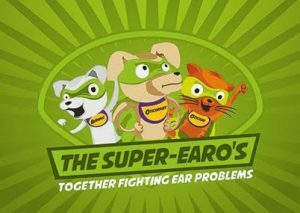 The Wetherby agency won the business following a three-way pitch and has produced a launch campaign based on a team of 'Super-earo' characters. The new campaign works across both digital and more traditional marketing channels. Animalcare has been supplying a wide range of animal health products from idENTICHIP microchips and pharmaceuticals, to pet welfare products and practice equipment, for over 25 years. Launching in 2003, Wish works with clients including Jet2, Augean PLC, Virgin, Transdev and NSF Health Sciences. It launched a digital arm, Wish Digital, in 2014.